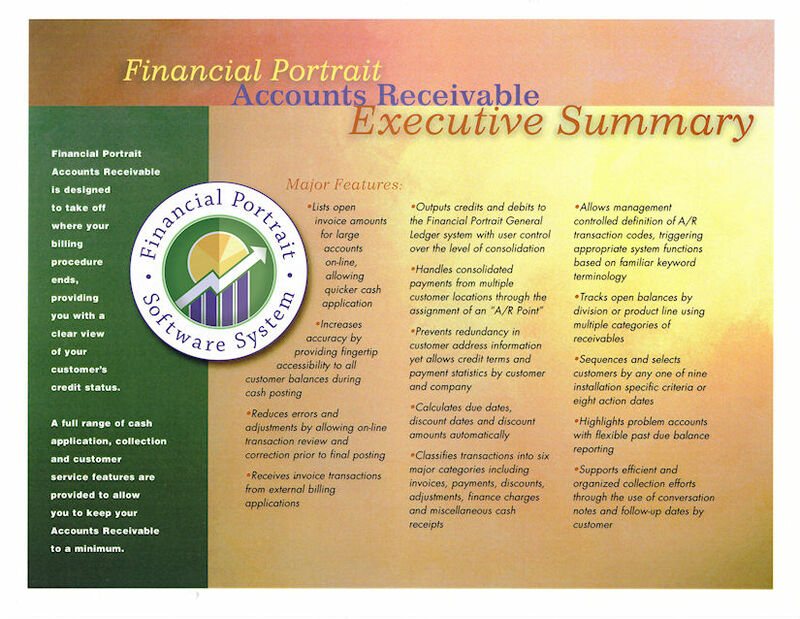 Financial Portrait Accounts Receivable is designed to take off where your billing procedure ends, providing you with a clear view of your customer's credit status. A full range of cash application, collection and customer service features are provided to allow you to keep your Accounts Receivable to a minimum. Handles consolidated payments from multiple customer locations through the assignment of an "A/R Point"